A technology writer with over 15 years of information technology experience who writes and teaches about information security and computer viruses. People are connected to the internet off and on all day via smartphones, tablets, laptops and desktop computers, which is why it's imperative to protect your devices and data from malicious software. Malware describes a range of software applications developed with malicious intent. Unlike legitimate software, malware is installed on your computer without your consent. Malware can be introduced to your computer in the form of a virus, worm, Trojan horse, logic bomb, rootkit, or spyware. 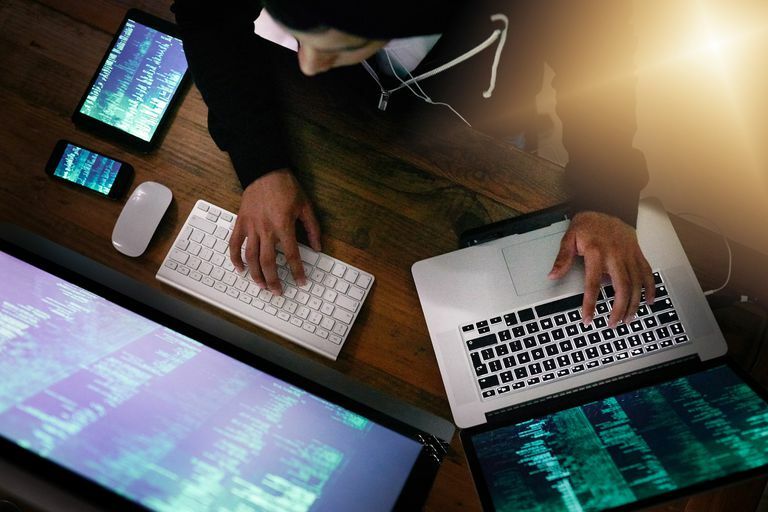 Although the threats change as protection is developed against specific malware programs, there's always a replacement waiting in the wings to attack your hardware. WannaCry is a ransomware worm that is distributed by unsolicited mail spam — malspam. Thought to be the product of a North Korean hacker, it first appeared on the malware scene in mid-2017, and it is still active. Initially, it spread to computers that were not running the most current versions of their operating system, but it has since evolved. It has two parts: the worm component for self-propagation and the ransomware component for extortion. Ransomware blocks access to a computer's data until a ransom is paid, at which point, the data is freed (sometimes). WannaCry gets its foot in the door of a computer as part of a phishing email. Most WannaCry attacks are against private computers, but businesses and agencies are not immune. In mid-2017, hundreds of thousands of computers were affected. To prevent WannaCry, update your Windows version and load any automatic updates. (You may have disabled Microsoft's automatic updates.) Install a dedicated ransomware blocker, such as Cybereason's RansomFree or Malwarebytes for Windows. Emotet is an advanced trojan that spreads rapidly and drops banking trojans. The initial infection occurs from malspam emails with malicious links, macro-enabled Word attachments, and PDFs with embedded links. This program attempts to obtain your confidential online banking information. Downloading a single, harmless-looking file can lead to having your bank account cleared out. Emotet has evolved beyond its banking role to serve as a distributor of threats for other attack groups. The U.S. Computer Emergency Readiness team considers Emotet to the most costly and destructive malware affecting state, local, tribal and territorial (SLTT) governments. Malwarebytes has a plan to protect your network, as does McAfee. The FBI Virus (also known as the FBI Moneypack scam) is aggressive malware that presents itself as an official FBI alert, claiming that your computer is blocked due to copyright and related rights law violations. The alert attempts to trick you into believing that you have illegally visited or distributed copyrighted content such as videos, music, or software. This nasty virus locks down your system, and you have no means of closing the pop-up alert. The goal is for scammers to trick you into paying $200 to unlock your PC. Rather than paying the $200 and supporting these cybercriminals, you can boot your computer into Safe Mode with Networking, run an anti-malware software scan, and remove the detected files. Follow these step-by-step instructions for removing the FBI virus from your machine. Loyphish is a phishing page, which is a malicious web page used to steal your login credentials. It disguises itself as a legitimate banking web page and attempts to trick you into completing an online form. While you may think you are submitting your sensitive data to your bank, you are submitting your information to a remote attacker. The attacker will use images, logos, and verbiage to convince you that you are visiting the bank’s authorized website. Understanding the major types of malware can help you make informed decisions about acquiring tools to protect your computer. To prevent infection from any of these threats, be sure to use up-to-date antivirus software and ensure your firewall is enabled on your computer. Install the latest updates for all your installed software and keep your operating system current. Finally, be cautious when visiting unknown websites and opening email attachments. Suspicious.Emit can steal your data and spread to other computers and remote hosts. If your computer slows or your notice any registry modifications, running a standard anti-malware program should remove the threat, after which you should clean your Windows Registry. Sirefef (aka ZeroAccess) uses stealth to hide its presence and disables your system’s security features. You may be infected with this virus when downloading pirated software and other programs that promote software-piracy, such as keygens and cracks that are used to bypass software licensing. Sirefef sends sensitive information to remote hosts and attempts to stop Windows Defender and Windows Firewall to ensure its own traffic won’t be stopped.